Happy Monday! 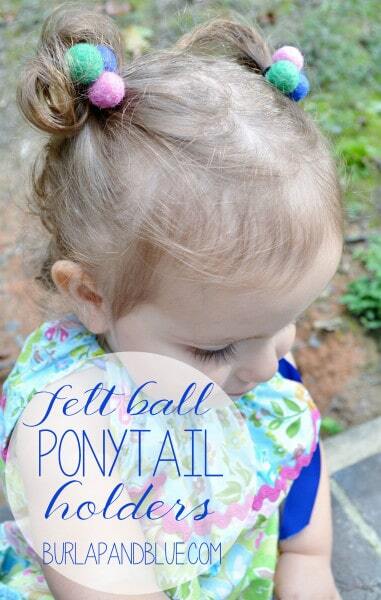 I have the sweetest tutorial for you all today; these felt ball ponytail holders are simple and so, so adorable (as is my little model, obviously). 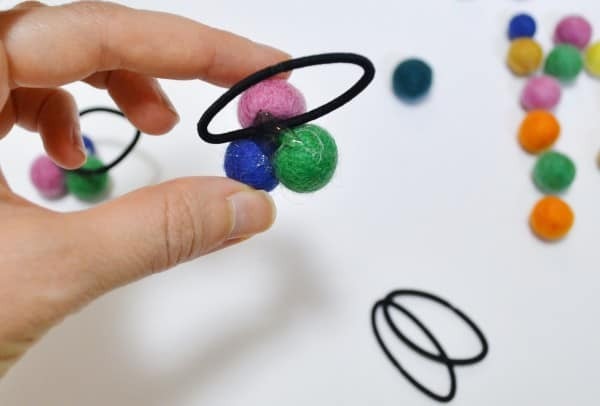 I created them with three different felt balls, but you could easily do this with single balls for something a bit simpler and easier. 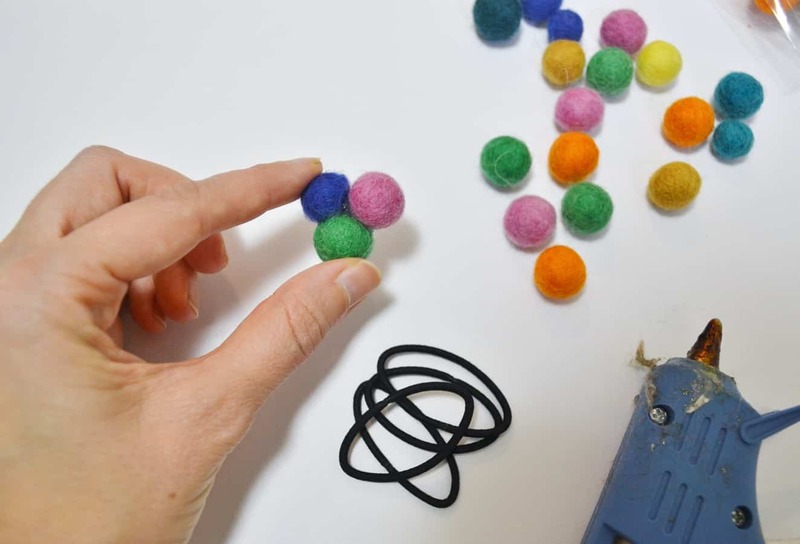 Step 1: Take your felt balls, choose your colors, and hot glue them together. Let cool. Step 2: Take your trio of felt balls, and hot glue to a ponytail holder. 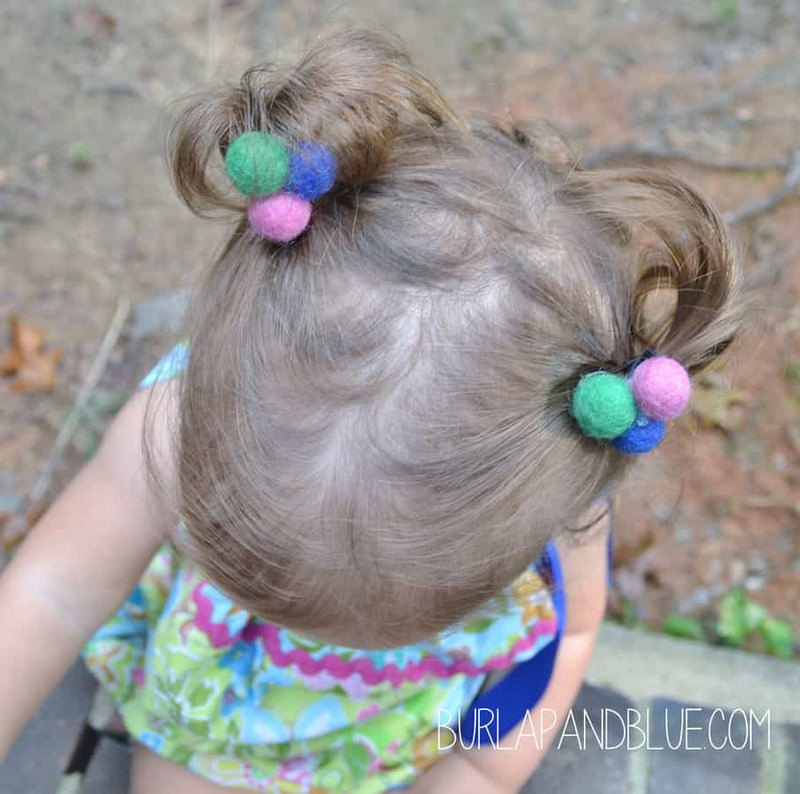 Glue liberally so that they won’t come apart when you’re putting them in your little one’s hair. This is so simple, it’s barely worthy of the word “tutorial”, but they turned out so cute, I just had to share! Thanks for reading about my felt ball ponytail holders! Have a crafty day!